Pursuing the humanitarian principles of Ping Sans Frontières, an organisation formed to provide assistance to less well developed countries, Cameroon’s Sarah Hanffou, the Founder and President, recently visited Ghana. Notably Ghana is a country that has known considerable success in competitions organised by the African Table Tennis Federation but those day are fading rapidly into the depths of history. Notably in 1962 Emmanuel Quaye won the Men’s Singles title at the African Championships staged in Alexandria, the first time the tournament was staged. Two years later in Accra Ethel Jacks secured the Women’s Singles crown. She retained the title in Lagos in 1968 and again in 1974 in Alexandria when the tournament was next organised. Having promoted initiatives in Togo, Congo Democratic, Kenya, Nigeria, Cameroon and Algeria; the next stop for Sarah Hanffou was Ghana. 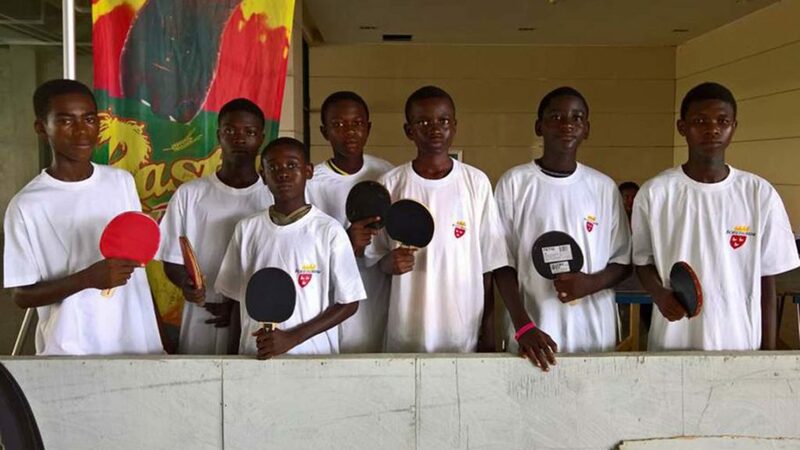 Impressed with the efforts being made; equipment was donated to the Western Table Tennis Club, Ghana Table Tennis Club and Ghana Immigration Service. Furthermore, Sarah Hanffou met coaches and players to exchange ideas with the aim of popularizing the sport. It proved a most satisfying visit.